Reading about Microsoft creating a Linux client for its web platform Windows Azure produced mixed feelings inside my brain. For once, Microsoft is actually writing software for Linux, which is a confession of the existence and popularity of such marvelous operating system. On the other hand, though, I wondered if this is an attempt from Microsoft to invade the Linux community? You see, when Gates published his book "The Road Ahead", back in the mid-90's, he had this vision that in "the future" all well have on our desks is a terminal, a minimal computing unit that is capable of only connecting to the internet, where all our files are stored and where we can rent times on the software applications we use. 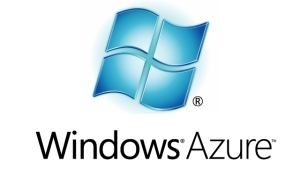 Windows Azure is actually, IMHO, the realization of this idea or vision. Thinking in Microsoft's shoes, I would say that the best strategy for controlling the emerging market of the cloud would simply be by providing access to such service from all possible terminals. This will bring customers from allover, and in the same time turn all computers around, including those running rival operating systems into merely access points for my services. I might be over-thinking this, but knowing the history of Microsoft, I can't stop myself thinking this way. On a third hand, I recalled Linus Torvalds' famous words: If Microsoft ever does applications for Linux, it means I've won.